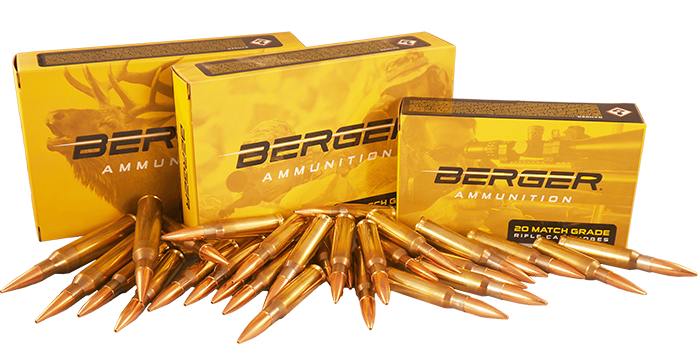 After realizing that SAAMI standards are not going to change to allow for increased performance we decided to make bullets that will comply with SAAMI dimensions for factory rifles. The key difference is that Bryan Litz would optimize these shorter noses by using a specially designed Hybrid shape. The other difference is that these bullets had to kill animals quickly like our current VLD Hunting bullets. We were quick to test these bullets in media and the results were a success. However, we knew we weren’t going to sell them as a hunting bullet until we had proven them on game. We needed to go to a place where we could shoot a lot of animals at numerous different distances. One place came to mind immediately. New Zealand! We had the good fortune of having met Gus Bisset and Carla Lucas who run New Zealand Trophy Hunting. They are wonderful people so the thought of going hunting at their place was immediately appealing. After a hop, skip and a jump over the Pacific Ocean we landed in Auckland and then took a quick flight to Queenstown on the south island. New Zealand is as beautiful a country as you can imagine. The south island is covered in gorgeous mountains that fill your view in every direction. Gus gathered us up from the airport and we left for the lodge. The accommodations were first class with a perfect combination of classy and comfortable. Carla greeted us at the lodge and it quickly felt like I was at a second home with both the accommodations and the people. We started hunting the following morning. In this part of the south island near Kurow, the mountains are all around but they are not quite as steep as mountains I would be hunting on later in the week. During the first day I had the pleasure of hunting with Extreme Outer Limits TV Show hosts Bob and Chris Beck. This trip was serving a dual purpose in that it was a test for our new Classic Hunter bullets and the hunt was being filmed for Bob and Chris’ TV show. Being an Extreme Outer Limits hunt meant that I was going to be able to use some of the finest hunting gear available. I am referring to the McMillan Hunting Rifle and Nightforce Scope. McMillan makes hunting rifles that are capable of winning benchrest matches. They are that good. On this trip, I put the Nightforce scope to the ultimate toughness test. Hunting over steep mountains resulted in me taking a few unscheduled falls. One in particular resulted in the scope bouncing off a rock with a clear “TWANG! !” of the scope bell taking a direct hit on a hefty rock. I’ve been told that Nightforce scopes are the gold standard for ruggedness so I figured my next shot would either be dead on or way off. It was dead on. The scope was later checked by Nightforce when I returned to the US and it was in perfect condition. If you don’t use a Nightforce scope on your hunt, bouncing your scope off a rock like I did would have likely been a hunt ending event. Not with a Nightforce. I couldn’t have asked for a better situation in which to test our new bullets. First class outfitter, top notch guides (Andy, Ewie and Dave) who can run down a goat on these mountains (they made walking the slopes look like they were walking a shopping mall in Queenstown) and the best hunting gear money can buy. I spent the first day with the Beck’s shooting anything that we found to be 400 yards or less. This new bullet is designed purposely for hunters using factory rifles and feeding through magazines. It is my opinion that these “classic hunters” aren’t prone to taking long range shots like those who use custom hunting rifles that shoot VLD Hunting, long range capable bullets. For this reason I purposefully kept all but a few shots at less than 400 yards. Later that day, Andy and I took off for the north portion of the south island to a station (ranch) that has tons of goats and hogs. This was an eight hour drive so when we arrived we hit the sack with dreams of a target rich environment dancing in our heads. The next morning we were met at our new temporary home by Dave who would help us deal with the large volume of animals we expected to harvest that day. Coming to this station was the right choice since a target rich environment is what we got. We’d start at the base of the mountains creeping up the river bed, bombing the goats and pigs as we went along. After a pass through the river bottom we’d spend the rest of the day crawling over the steep mountains looking for the goats and hogs that escaped us near the river. I learned a few new expressions while I was in New Zealand which fit the situation perfectly. The first being, “Sweet As!” I’m not sure I understand it the way they mean it but to me everything about this trip was as “Sweet As!” anything I could think of. After numerous animals were taken by Dave Griffith (who is a hell of a shot) and I, we called it a day and crawled out of the mountains in the dark. The next day I was getting low on ammo so Andy and I decided to keep hunting until I was down to the last 10 rounds and then we’d stop hunting here and head back to home base in Kurow. The hunting was good and several animals were taken. This was tough hunting in that the mountains are not kind to the gravity challenged such as myself and we were examining each animal closely to see how the bullet was performing. We managed to get things sorted out by the end of the day and then spent our last night on the station. Andy brought me most of the way back to Kurow. On the way we had lunch with Andy and his girlfriend at a place where you cook your food on an extremely hot rock right at your table. It was delicious. Shortly after lunch, I transferred into Ewie’s truck and we finished the trip back to Kurow. The lodge was as I left it, full of fun and great food. Carla (who runs on the mountains nearly every day like they are flat) is an outstanding chef. To call her a cook would be to lessen my memory of the delicious feasts she created. We had another wonderful dinner where we told our stories about the last few days and had a few Heinekens. The last day of hunting was with Ewie who prides himself on his ability to walk up any mountain in any weather at the same pace race walkers use in the Olympics. The guy is a mountain slope scaling phenom. He walks to hunt in places where all but a rare few travel to in helicopters. He’ll shoot a tar and hall it back down the mountain. Result!! By the end of the trip I had a mind full of wonderful experiences and memories. I will go back again and hunt with New Zealand Trophy Hunting because once you’ve found something this good you are only setting yourself up for disappointment if you go anywhere else. Eric with two running billy goats he took. I also had a wealth of test results on the 71 animals that were taken during the trip. 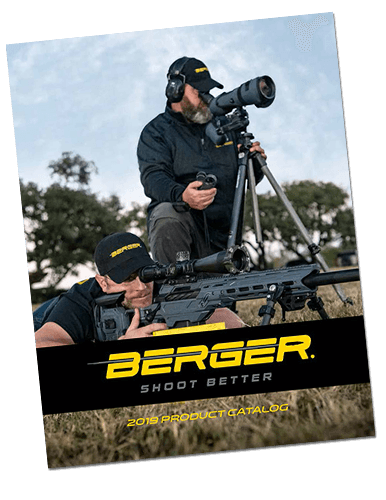 The new Berger Classic Hunter bullet performed flawlessly. The following is a breakdown of the animals that were taken, grouped by animal type and within certain range values. Each animal either fell where they were shot or within a short distance. 49 of the 71 animals were taken at distances less than 200 yards with 13 animals taken under 75 yards. Even at the high velocity close shots, these bullets still penetrate through tissue and bone, get deep inside the vitals to create a tremendous amount of internal damage which is quickly lethal. I am thrilled that our test was such a success. I look forward to launching this bullet to the classic hunter and so named this line the Classic Hunter. 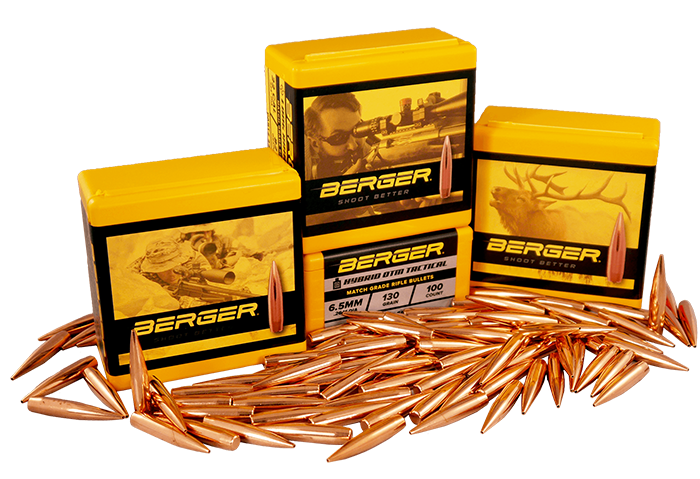 We expect that these bullets will become very popular among those who aren’t interested in purely long range oriented hunting. They sure worked great in New Zealand. Result!! In closing I want to give a big “CHEERS!” to my friends in Kurow. Gus, Carla, Andy, Dave and Ewie are a special group of people who made the experience wonderful from the hunts to the food and with all the laughter. I will be back in Kurow and it won’t be soon enough. If you are looking for a first class hunting experience in a gorgeous place go to www.newzealandtrophyhunting.com. I can say from personal experience, it is worth it at twice the price.